I have a lovely friend who loves dancing and every time I hear swing music (which I love thanks to my Mum!) I think of my friend. 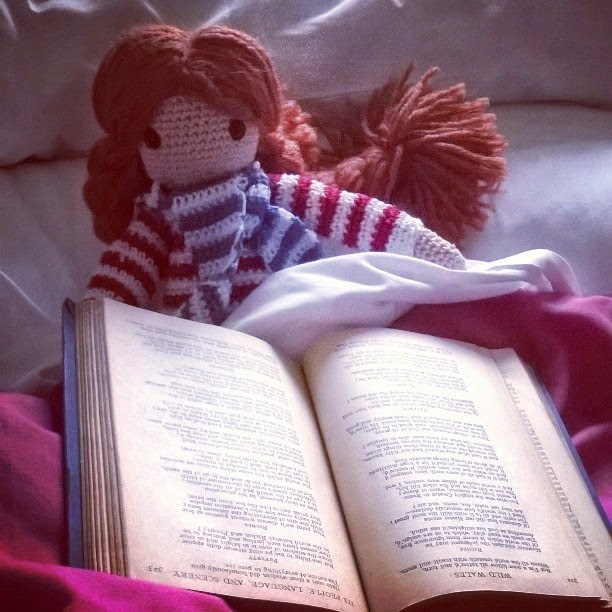 She goes off on lots of adventures often to do with her dancing and I adore seeing her photos of these journeys! 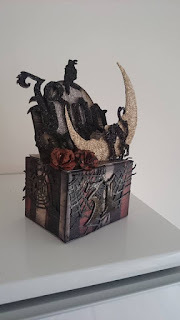 She has a wicked sense of humour so I made her a shadow box with a winter theme instead of a Christmas card! 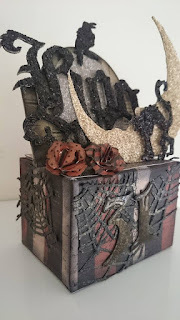 The shadowbox was painted and waxed and I used the Sizzix Birch Trees Thinlets: Holiday Words Script Thinlets and Woodlands Thinlets all with plenty of glitter. I hope she likes it! Sitting here in the living room, everything smells wonderfully of the Christmas Tree which is glowing away bedecked with lights and baubles! I treated myself to a couple of different shades of green inks from Lawn Fawn so I could use them with the Deck the Halls set, I'd never found the Tim Holtz Distress Inks had worked well with polymer stamps! i was really pleased with the quality of the stamped image and the shades of green and happily stamped out lots of fir boughs! Again I used the Flirty Frames (so useful for everything!) and a reindeer for the new Penguin set! Entered in the Lawnscaping Christmas Challenge. I love the Love you a Latte and the cookie Lawn Fawn sets! I kept the colours simple again, creating a snowy background with some of the snowflake stamps from the Deck the Halls set and embossed with white embossing powder. Loved the Flirty Frames set, great to sit any stamped image in! 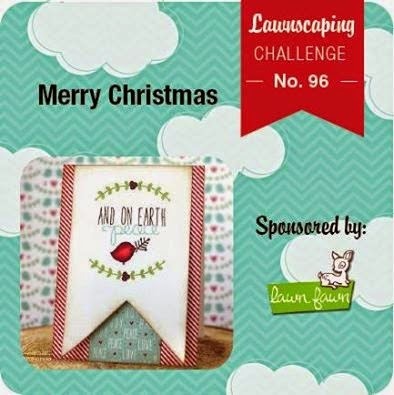 Entered in the Lawnscaping Christmas Challenge and the Simon Says Stamp Winter challenge. Not the chocolate penguins! Lawn Fawn's new set which has lots of cute little stamps to create a scene with trees, snowballs, a sled, reindeer and hats! 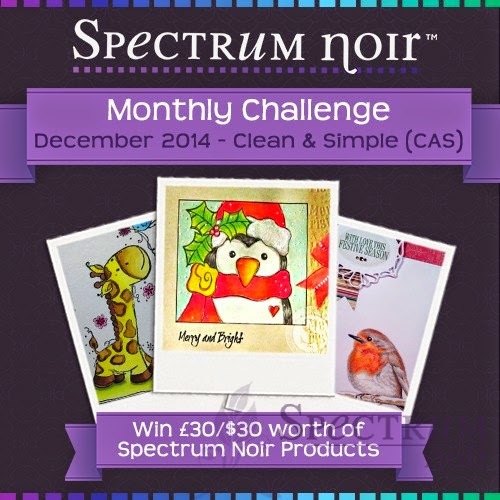 Again I kept the colour scheme simple and coloured it in using Spectrum Noir and Copic markers. This is entered in the Lawnscaping Christmas Challenge and the Simon Say Stamp Winter Challenge. So Lawn Fawn released those cute new Christmas stamps and I indulged in the sheep and penguin sets! They were great fun to colour in and I actually didn't stress too much over creating the cards, tried to keep it simple! 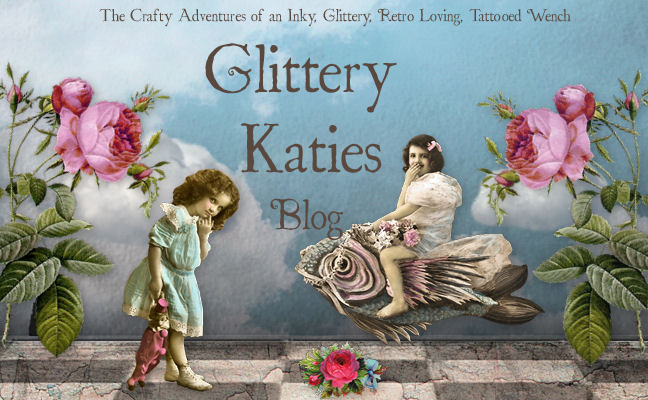 I am crafting but have got out of the habit of blogging what I make! 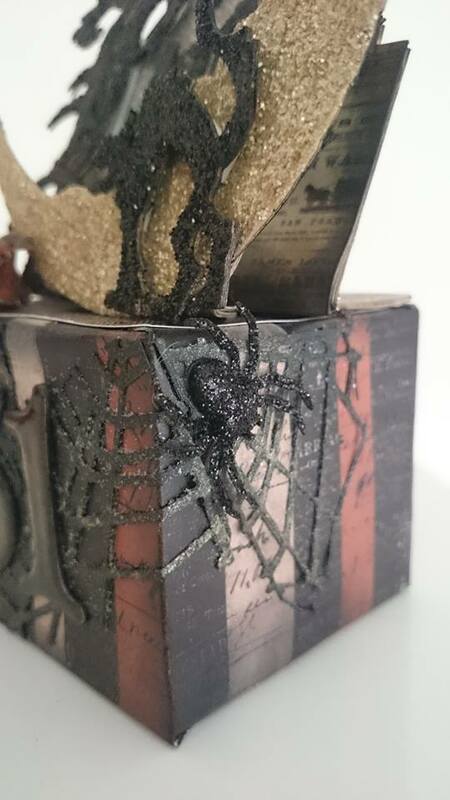 as Halloween is just around the corner I decided to finally buy myself the Tim Holtz Gothic Boo dies and have a play! So I used the following Sizzix Alterations: Gothic Boo, Crescent Moon and Stars, Tattered Pinecone, Cabinet Card, Sizzlets Decorative Strip Die- Cobweb, Sizzix Movers and Shapers - Mini Cat and Raven. I also used Black Soot and Antique Linen Distress Glitter, Tim Holtz Idea-ology - Mini Stash Regions Beyond, Distress Ink and the very cool Jolees spider stickers! Last one before we move! After far too many delays we are finally moving to our new home tomorrow, Christmas Eve! 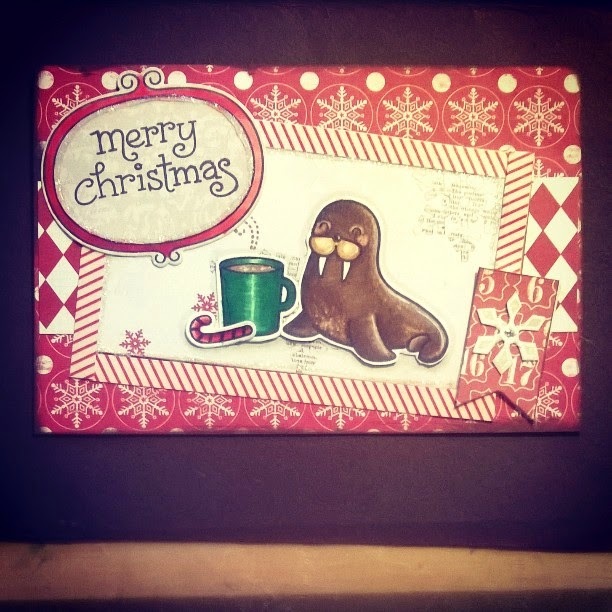 Here's another Christmas card I made using my new Lawn Fawn stamps.This is the first time I've coloured a Walrus so I built up the colour steadily then took out some colour using the Blending pen to give a textured, mottled appearance! 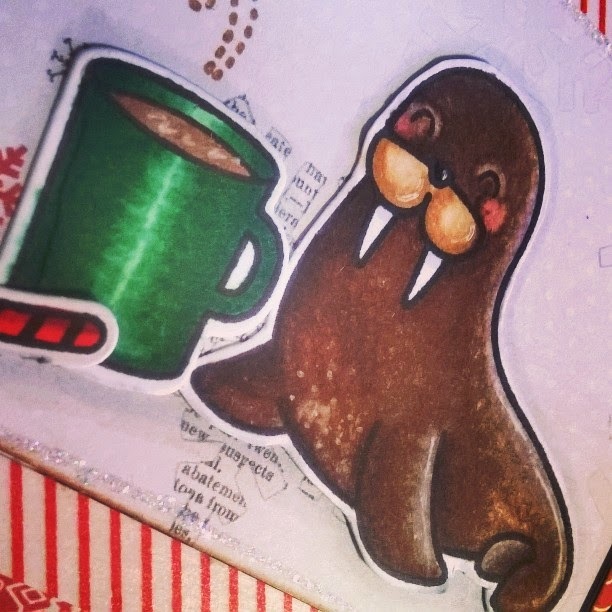 Lawn Fawn Critters in the Arctic and Love You Latte with Spectrum Noir pens. 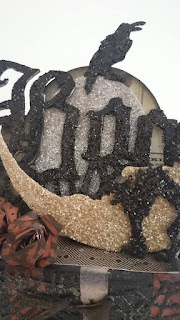 I won't be online much as BT are unable to say when they can connect us to the internet - dreadful in this day and age but hey ho, lots of unpacking to do and hopefully some crafting! Preparations for our move continue a pace T-5 days eek! 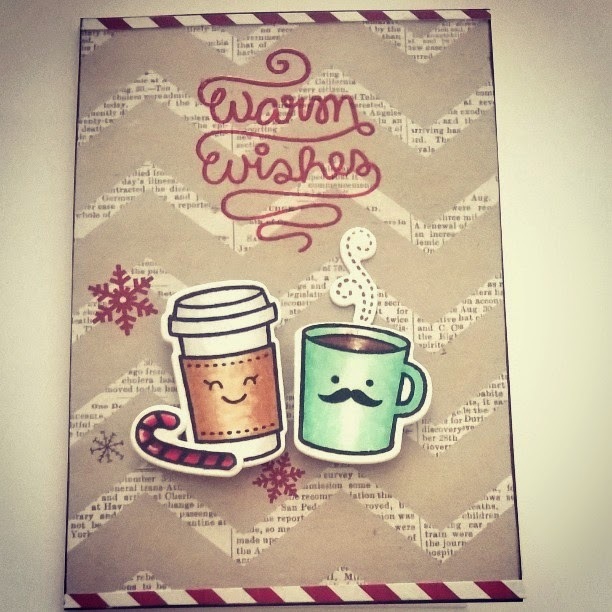 This is a really tiddly card for my Niece and her BF as they are both coffee lovers! I love the Love You a Latte set! Hopefully the house will be completed I know the builders are going full tilt, so fingers crossed! 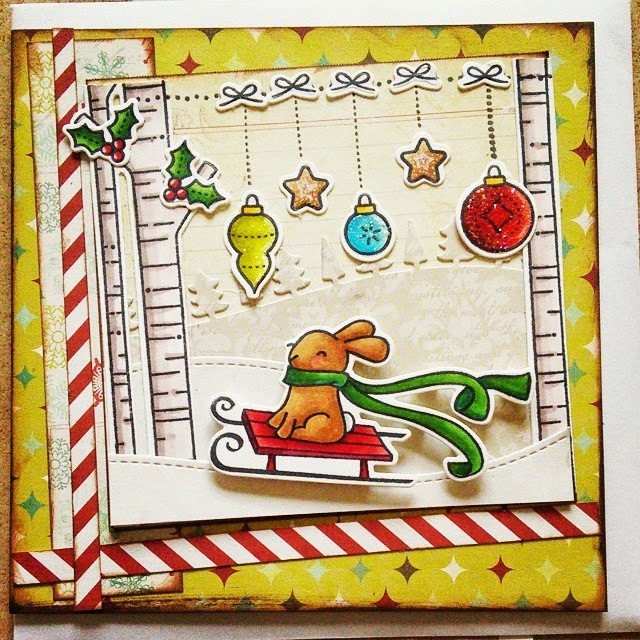 Anyway I've been doing a bit of colouring in and made a Christmas card using my new Lawn Fawn stamps and dies! I love the expression on the little bunny's face! Had fun colouring the baubles and glittering them up! So I'm having ago at the LawnScaping challenge! 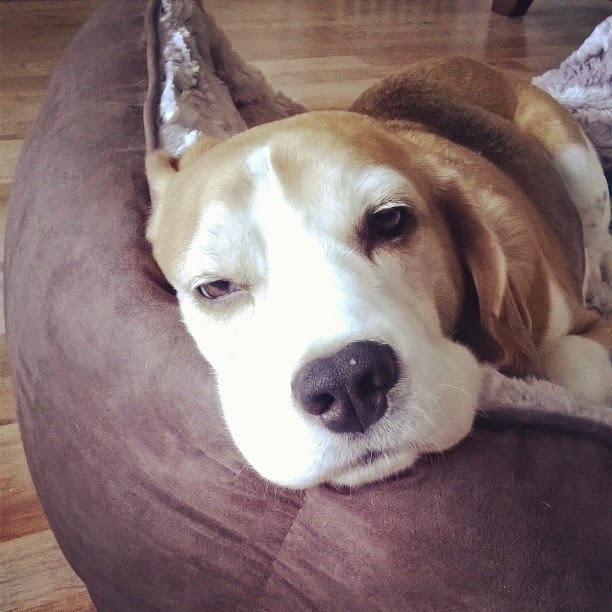 Sad and Happy Beagle News! 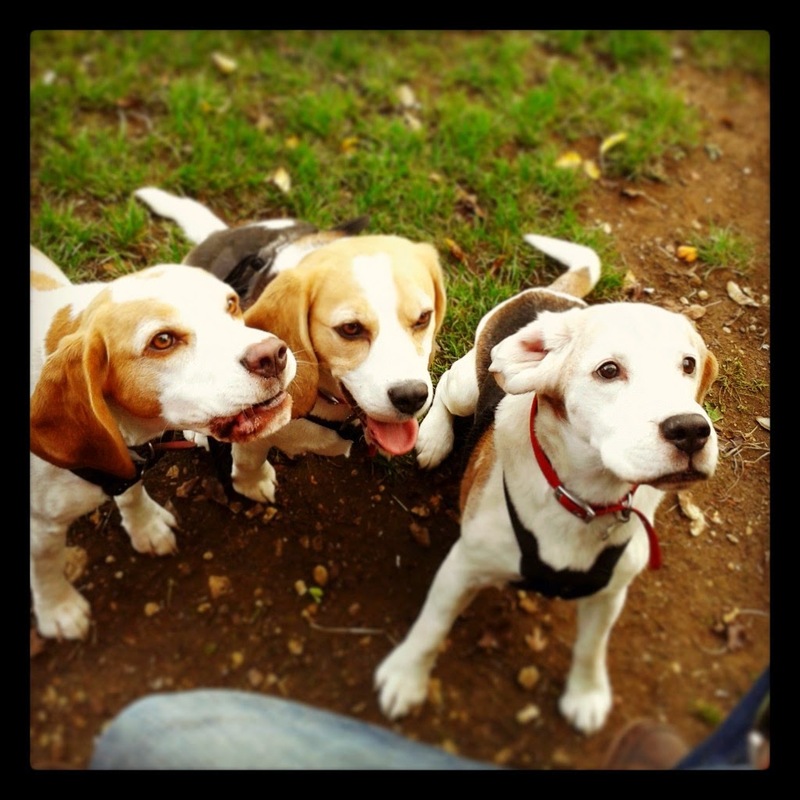 Last March we welcomed a third Beagle into our home. 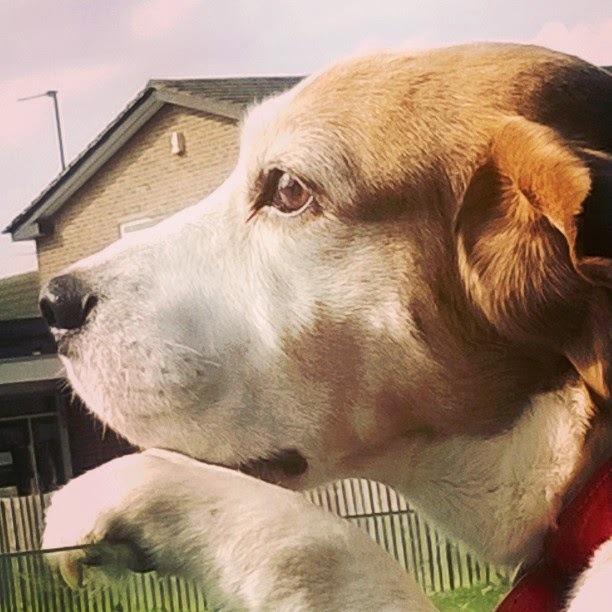 Bertie was 14 years old and homeless and when we collected him from Beagle Welfare we were expecting a fat, old, doddery Beagle but how wrong we were! 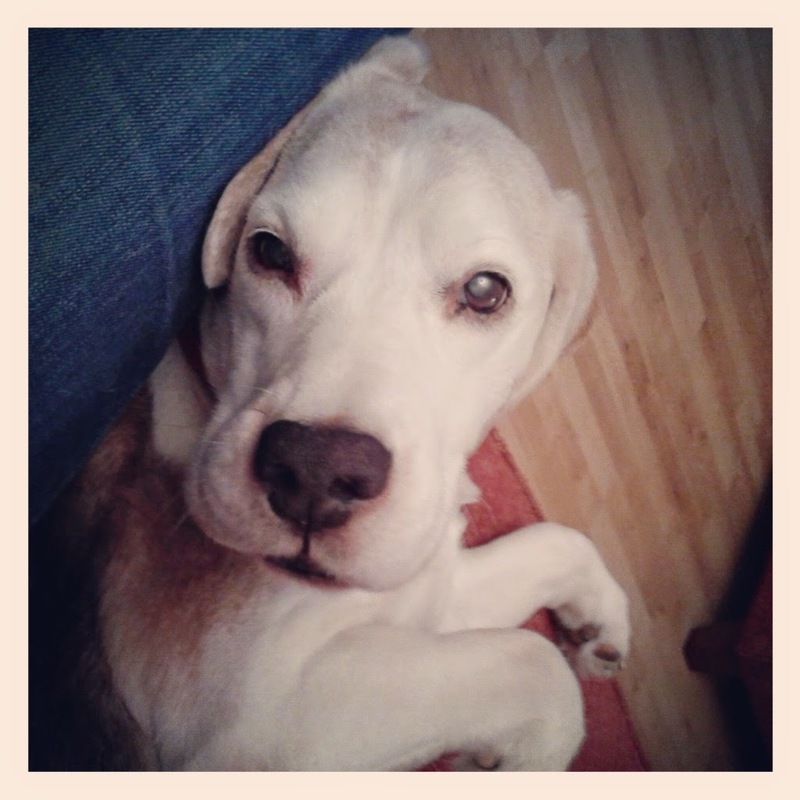 Bertie was a typical Beagle, full of mischief and energy. He loved to cuddle and make friends! He adored it when we swapped him onto raw food, he would remind me when it was mealtimes and honk at me til I fed him! He used to go bonkers when it was walkies time, loved wandering around the park, mooching and sniffing sniffs! 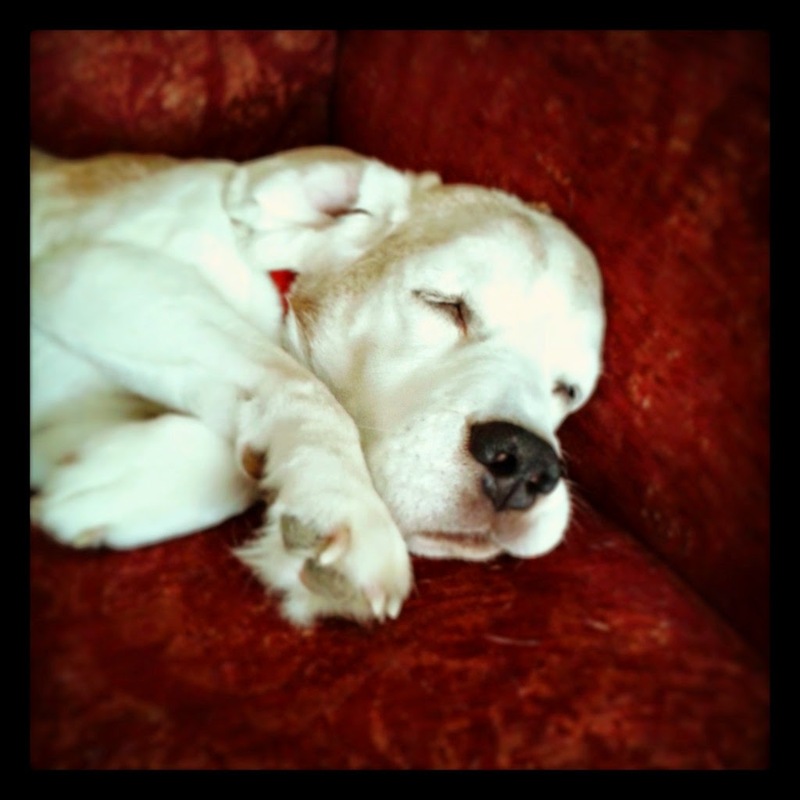 He fitted in with our Family beautifully and was a real character, such a sweet, gentle soul! Sadly after a year his body let him down. We knew he had prostate cancer but he was doing OK with that but he developed pancreatitis which didn't respond to antibiotics.We always said that if he couldn't eat that it would be time to let him go and now was that time. It was so hard for all of us, it was almost unbearable to see how upset everyone was. 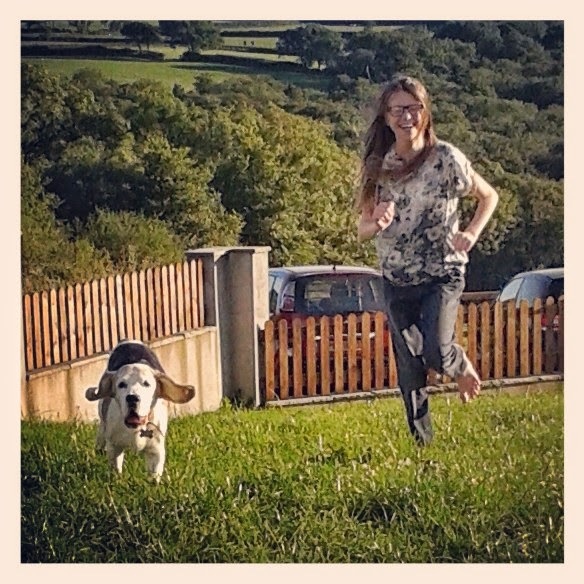 It's one of the hardest things to do, say goodbye to a sweet, sweet soul like dear Bertie. He adored coming on holiday to Wales with us! Love those ears! 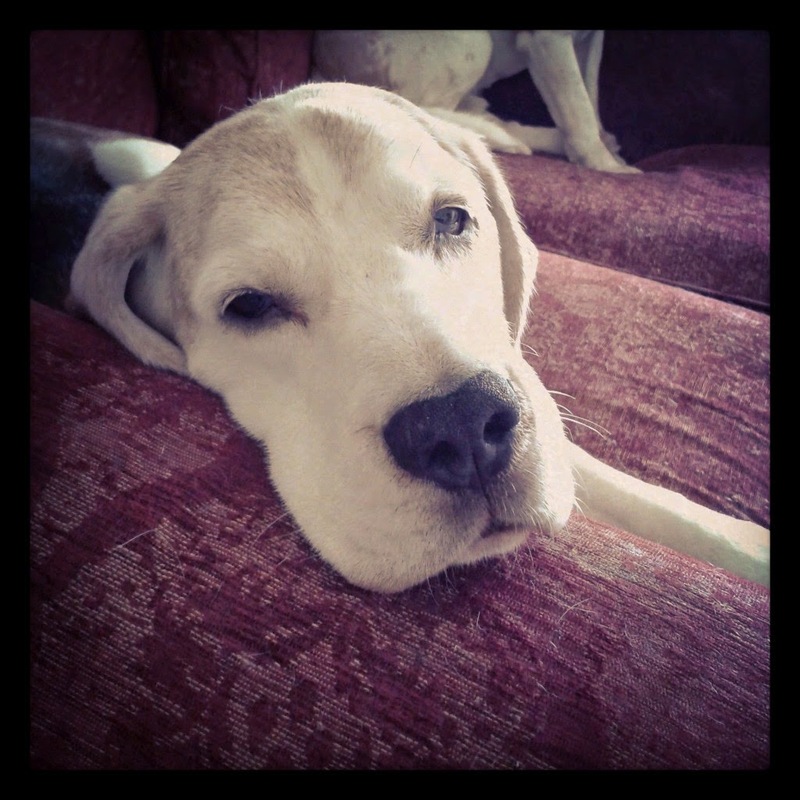 He was our beautiful boy and we were lucky to have had him as part of our Family. 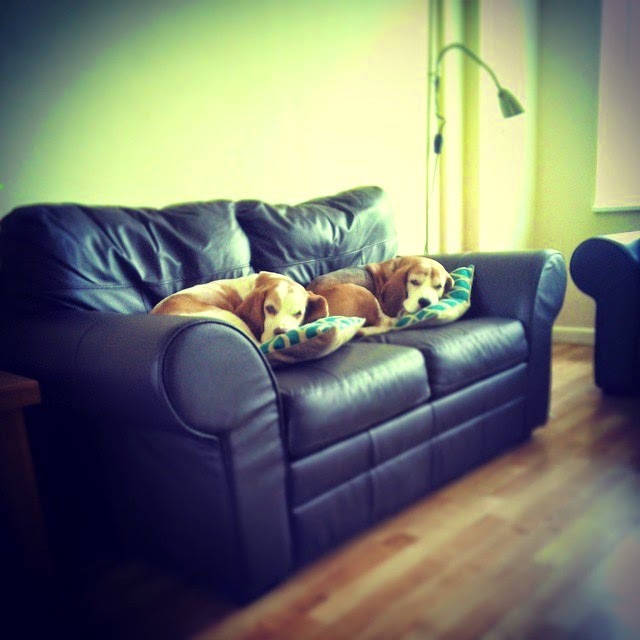 A couple of months after losing Bertie we started to think about rehoming another older Beagle as they tend to be overlooked. Almost straight away we found Oscar who was nearly 10 years old! 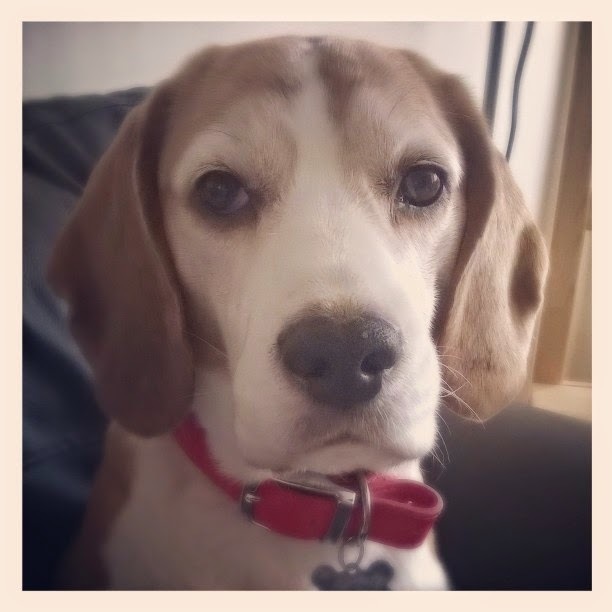 We collected Oscar from BeagleWelfare and our son came with us. We decided to rename Oscar as this was a fresh start for him and our son suggested Milo which seemed to fit him! Milo's a real sweetie who loves his cuddles and snuggling up on the sofa! 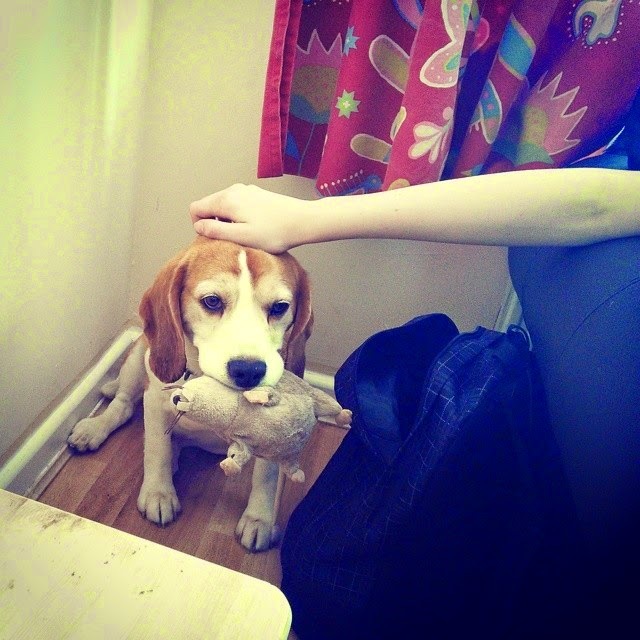 He likes to play with his soft toys, here he is with rat-rat! Like our other Beagles he gets very excited about going on trips in the car! He's fitted right in with all of us! We're lucky to have met Milo, he's helped to fill the void a little since Bertie passed, he's bought us a great deal of joy! We're a very lucky family! 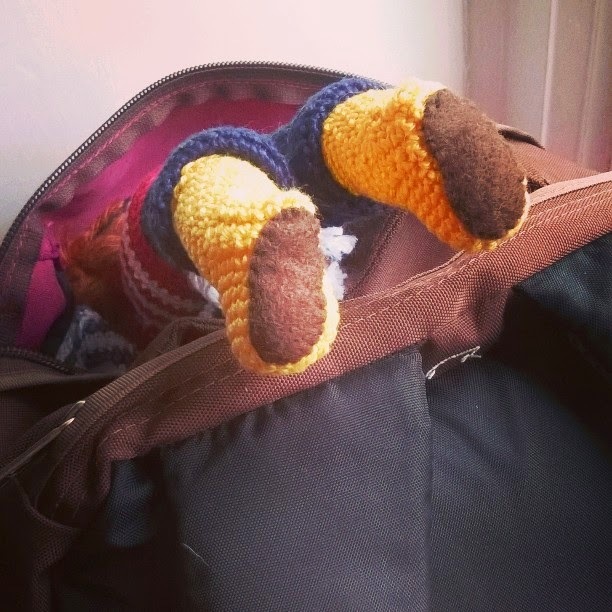 So I finished the Dolly for my lovely friend Archie and handed her over to her new owner at our Derbyshire craft weekend and I think she was very comfortable as she started being very naughty! ...cleaned her teeth with my TOOTHBRUSH??!! No Dolly, NO!! 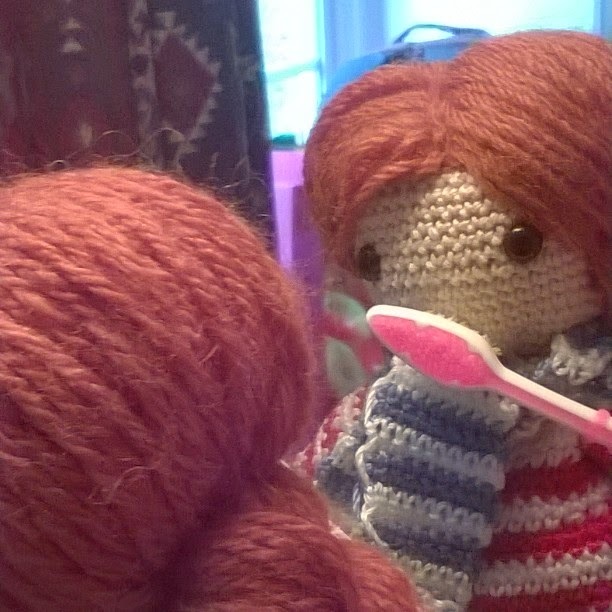 I used Isabelle Kessedjian's My Crochet Doll from Amazon which has LOTS of clothes patterns for the basic doll, all of which are lovely! 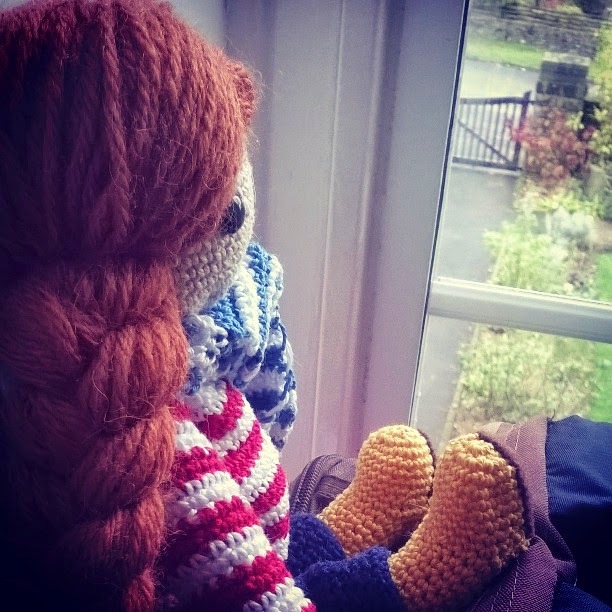 Dilly Dolly is dressed for Autumn weather here in Englad with a warm sweater, scarf and yellow wellies!